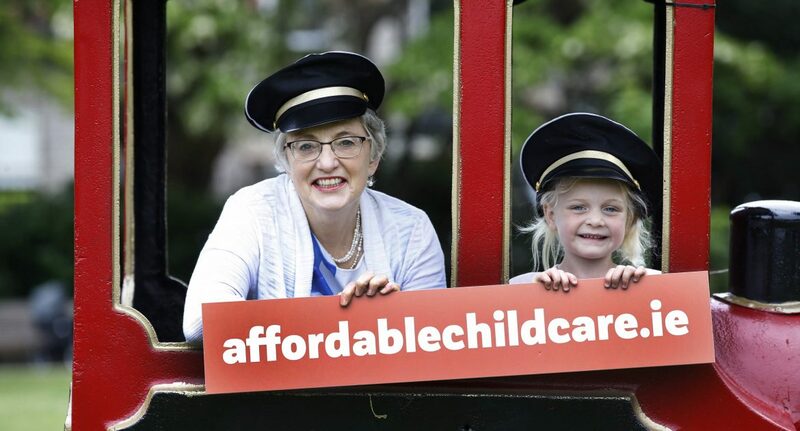 Minister for Children and Youth Affairs, Dr Katherine Zappone, has announced that the new Affordable Childcare Scheme will open for applications in mid-October 2019, with payments flowing from November 2019. The scheme will offer a single, easy to access system of financial subsidies towards childcare for families in Ireland. Through this, it will enhance affordability and accessibility, and provide a platform for investment in quality childcare to benefit current and future generations. “I have been steadfast in my commitment to deliver the crucial change that families need, and so I am delighted to be able to announce the timeframe for the introduction of the new Affordable Childcare Scheme” commented Minister Zappone. From October 2019 everyone will be able to apply for the new Affordable Childcare Scheme. To ensure a smooth transition for both parents and providers, the current childcare subsidy schemes will remain in place for the 2019/20 programme year. People will be able to register for the current schemes as normal, from August 2019 up until the new Affordable Childcare Scheme launches. After the launch date, people can choose to move over to the new Scheme or to remain on their old scheme for the remainder of the programme year. This will provide certainty for current scheme beneficiaries, offer ample time to apply for the new scheme and ensure that no family is worse off during the transition period. Once the Affordable Childcare Scheme is in place in October 2019, registrations under the existing schemes will cease. Comprehensive information, training and supports will be available to parents, childcare providers and other stakeholders from early next year in readiness for the launch of the scheme. Enhancements to the Affordable Childcare Scheme announced as part of Budget 2019 will mean that an even greater number of families will now benefit from the scheme. The significant increase in the maximum net income threshold to €60,000 per annum means that an estimated 7,500 additional children will benefit from the scheme relative to the original proposals, including some families with gross income of up to €100,000 per annum. Over 40,000 other children, already eligible, will see increases to their subsidies. Childcare providers, who play an integral role in the delivery of all of the DCYA childcare schemes, will continue to receive a Programme Support Payment (PSP) in 2019. Budget 2019 provided funding of €19.4m for PSP, an increase of nearly 8%, which will bring the total amount of PSP paid to childcare providers since 2017 to over €55m in recognition of the administrative support they offer in delivering the schemes’ benefits to parents. Further information relating to the launch of the scheme will be made available at www.affordablechildcare.ie over the coming months. Families can also find information on the website in relation to existing supports to make childcare more affordable in Ireland. · tangibly reduce the cost of childcare for tens of thousands of families. Below are a set of representative sample families by way of demonstrating the benefit of the new scheme (under the newly enhanced thresholds) to various family types in Ireland. What will the Affordable Childcare Scheme mean for different families? The amount of subsidy available under the new scheme is tailored to every individual household’s circumstances, i.e. it is based on the net income of the household, the number of children and the ages of the children. The table below provides examples based on 8 common family circumstances.